If Amsterdam and Vancouver can do it, why not Sarasota? While living in Amsterdam for 13 years, Robert Horrow was fascinated with the use of shipping containers to create a housing community for students. Why not use containers to house the homeless, he wondered. That was the question Horrow — who recently moved back to Sarasota — posed last week during the regular Continuum of Care meeting organized by the Suncoast Partnership to End Homelessness. During his Feb. 24 presentation to representatives from agencies in Sarasota and Manatee counties that offer assistance to the homeless, Horrow pointed out that many homeless individuals prefer not to go to a shelter; they want some type of residence, which will help them gain self-esteem. 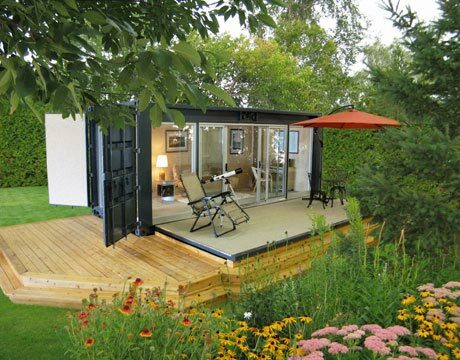 A 20-foot shipping container will house two people comfortably, he continued. Anyone reading U.S. Housing and Urban Development (HUD) guidelines will find that a shipping container transformed into a home will meet all the necessary requirements for housing, he added. In response to a question about cost, Horrow said a unit turned into a residence — including a kitchen, windows and doors —with all the labor factored in would be about $22,000. “It’s been done all over the world,” he told the approximately 50 people attending the meeting. 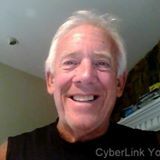 “The shipping industry is dead,” he added, so containers are readily available. Two million containers “are sitting in dry dock all,” Horrow said. Suncoast Partnership Executive Director Leslie Loveless noted that she and her staff have posted information on the nonprofit organization’s website about such housing in Denmark. The City of Vancouver is working on a plan to create 300 container homes, he noted. Additionally, insulation easily can be inserted into the containers, he noted. “Let’s get together and start looking at a new vision,” he told the Continuum of Care representatives. “I think we’ve got a great concept here,” Loveless told the attendees at the conclusion of Horrow’s presentation. A day later, during a telephone interview with the News Leader, Horrow said, “I got good feedback” after his presentation at the Continuum of Care meeting. He feels it is more likely at this point that Manatee County leaders will work with him than those in Sarasota County, he added, referencing the “political issues” in this community. The City and County of Sarasota have been divided for the past two years on their approaches to dealing with homelessness issues. The County Commission remains focused on establishing a shelter, while the City Commission has begun pursuing a Housing First approach. In the meantime, Horrow told the News Leader, he plans to get in touch with representatives of Tempohousing.